This is one house that you won’t want to miss! Recently updated with a new roof, windows, blinds, laminate floors, washroom, pot lights in kitchen, and fence done in 2014. Situated in one of the most convenient places in East Vancouver, this charming and cozy home is located within super close walking distance to Save-On-Foods & an abundant number of shops & services along the Kingsway Strip. 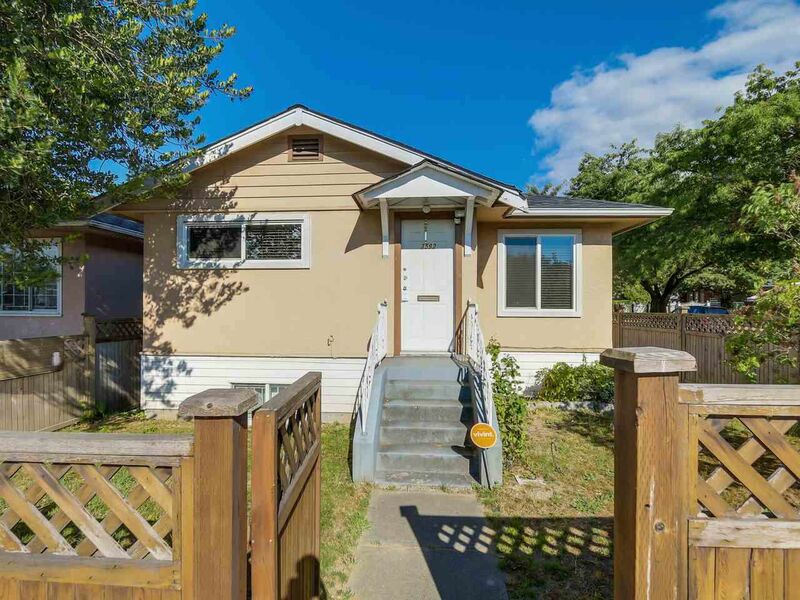 Also, this home is within 3 min walk to Tyee Elementary, seconds to the nearest bus stop and 10 min drive to downtown -- it’s no wonder it has a Walk Score of 92! Excellent 2 bedroom mortgage helper below as well to cut down monthly payments. Zoned for townhomes redevelopment & is the prime corner lot. Call now to book your private appointment!